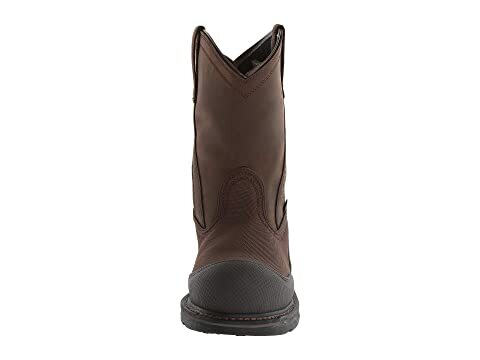 The Ariat® Overdrive XTR Pullon H20 boot is both tough and reliable to keep you protected and comfortable all through your work day. 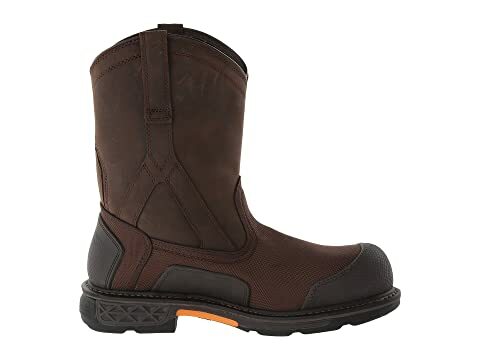 Waterproof full grain leather and 1,800 nonwicking, abrasion-resistant Denier Cordura upper. 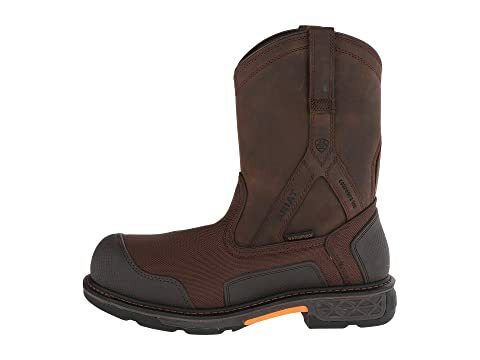 Waterproof PRO™ construction seals out the wet elements for a drier foot environment. 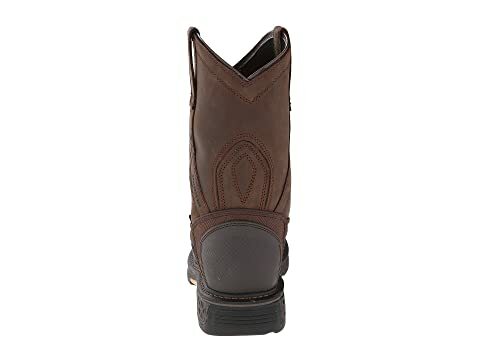 Ariat's® unique U-Turn Entry System™ allows for easy entry with a true fit no matter what your foot shape. Goodyear® welt construction offers long-lasting durability and wear. 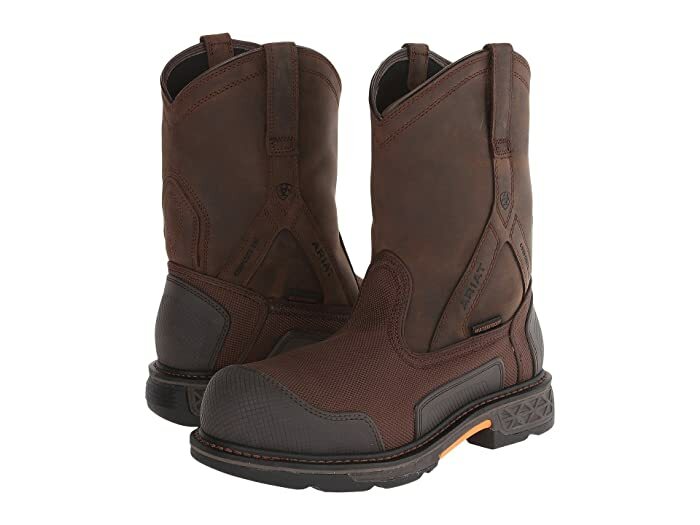 Protective ExGuards™ on toe, heel, and side to protect against abrasions while on the job. 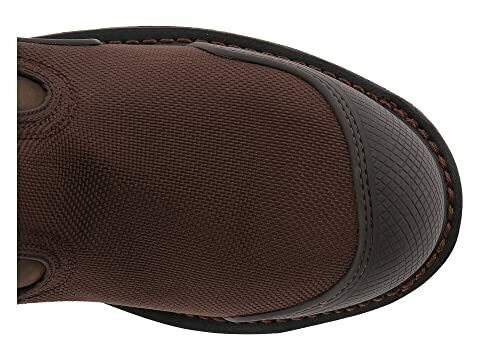 Cushioned footbed with ATS® technology provides all-day support and comfort. Shock-absorbing EVA midsole provides comfortable support. 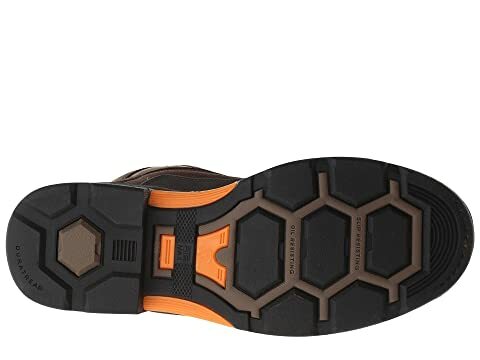 Flexible, nontracking Duratread outsole is acid, oil, slip, and wear resistant. Composite safety toe meets ASTM F2413-11 M/I/75 C/75 EH standards.